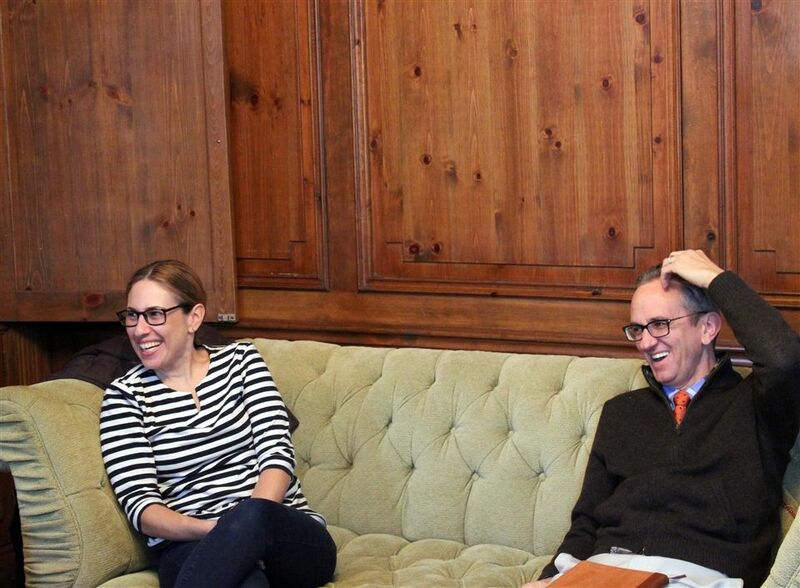 Last week, GSB hosted author Lauren Grodstein for a four-day writer-in-residence program. The author of the New York Times bestseller A Friend of the Family and the Washington Post Book of the Year The Explanation for Everything, Grodstein is also an accomplished classroom teacher, and she currently directs the MFA program at Rutgers University-Camden. During her time at Gill, Grodstein worked extensively with creative writing students in the Upper School and with several classes in the Middle School. She also spoke with Upper School students and faculty during a special assembly and offered a Middle School writing workshop for grades 5-8. Grodstein rounded out the week with a half-day writing roundtable for faculty and staff. This January marked Grodstein’s third visit to GSB. She had come in previous years for a single-day workshop and to help with a Spring Unit on creative writing. Her writer-in-residence visit was made possible by an allocation from the GSB Parents’ Association.